During these weeks daily classes will be offered from Sunday until Thursday. 1 week AED 450 for members and AED 525 for non members. Book for 2 consecutive weeks and get 1 class FREE. Please fill out an registration form at the Dubai Ladies Club administration desk and pay the fees prior to starting the course. NO refunds and NO make up classes for any missed lessons. Our 12 week course will start on Tuesday 16th April and will run till Thursday 4th July 2019. Click HERE to find out about the children swimming course and fees. 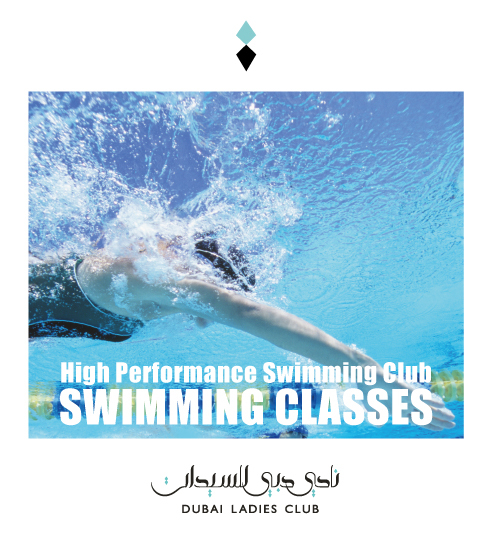 Click HERE to find out about the Ladies swimming course and fees. Read or Rules and Regulations before signing up to any course. Click HERE for the Ladies Club venue location. Contact our teacher Ms Mary for DLC on 056 – 2356677 to book your space and visit the reception at Dubai Ladies Club for registration and payments. Our teacher Ms Mary is looking forward working with you all.